We want to celebrate the personal nature of cinema and fill your timeline with the films that define you. Pick 4 films and then tag 4 friends to do the same! And with that, a Twitter phenomenon kicked off - one that has been persisting through all week. Plenty of people are posting up joke "lists" of four films. Plenty of others are taking it quite earnestly. And then there's the meta; what defines a film that defines you? See, Twitter can be the place to go for all the meaningful debates. It's been fascinating seeing what people have been coming up with, that's for sure. Anyway, because video game aficionados believe that games are art (and then roll over and talk about God of War in such breathless tones that you'd be led to think it's the second coming of Citizen Kane... but I digress), a second hashtag also got kicked off; #GameStruck4. The hashtag itself is reactionary nonsense (FilmStruck is a name of a product and service, and GameStruck is not, but okay), but that being said, there's a seed of a good discussion to have in there, so I figured I'd write an article on it, highlighting the four games that I think of as defining me. I'm also very keen to hear your thoughts on what four games you'd list! Drop into the comments to chat! For the purposes of this game, I'm separating "games I love" from "games that define me". Obviously I do love the games that I see as defining me, but this isn't a "top four favourites of all time" list by any means. Rather, these four games had a powerful impact on me in one way or another, and have shaped the way I see the world, and try and interact with it. Clock Tower 3, despite being a game that was almost universally met with a giant "meh" by critics and consumers alike, is a game that had a powerful impact on me. For a number of reasons: Firstly, it was one of the first games that I took seriously as a work of art - I wrote essays on it back at university, particularly regarding the role and impact that filmmaker, Kinji Fukasaku (the director of Battle Royale) had on it, its cinematic qualities, and the way its narrative parallels the coming of age analogies that you find in a lot of the teen slasher sub-genre of horror. It was also the first time I realised that I had a pretty strong contrarian streak when it comes to popular opinions on... well, stuff in general. By that I mean I tend to like stuff that the majority do not. That doesn't mean I games that are on an objective level bad (I don't like useless stuff like Skylight Freerange or Briks any more than anyone else), but rather, when the quality of the game is principally down to subjective interpretation of narrative or themes, such is the case with Clock Tower, my tastes generally sit elsewhere to consensus. Whether I see things in games that others don't see or don't agree with, or I just plain enjoy stuff in a different way, Clock Tower 3 was one of the early examples of what would drive my approach to critical writing about the arts. Gregory Horror Show is the perfect example of what I love about art, whether that be in games or outside of them. Much like I'd much prefer going to a Salvador Dali art exhibition than, say, a Monet or Da Vinci, and I prefer films with the ability to be both surreal and outrageous, like Tokyo Tribe, to the more heavily produced, linear, and straightforward blockbusters, so too do I like a good surrealist game, and Gregory Horror Show is the example of that I find most memorable. Gregory Horror Show represents, in a very pure sense, the way I like to look at the world. The way I'm comfortable in situations that I'm not always comprehending of, and the way I like to puzzle things out as I go along. For a real-world example of that, I've never once felt "culture shock", even when travelling to places which are very different to the (western) culture I grew up in. Even when I can't speak the language. There's certainly a sense of the surreal in being in such a situation, but I embrace it as something different and exciting to experience. And I'm always looking out for games that can have a similar impact on me. 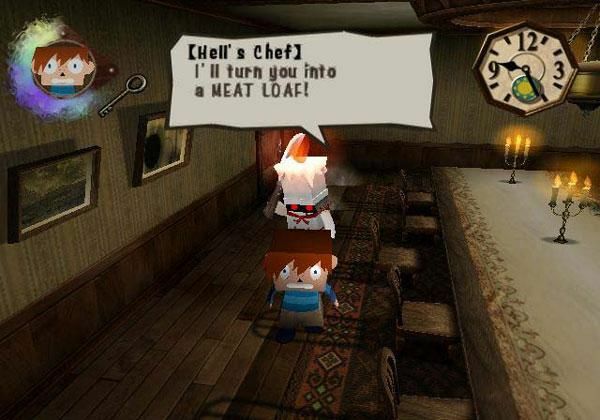 Gregory Horror Show, produced before digital download platforms allowed indies to do this kind of thing regularly, was a rare treat in indulging that desire for the weird and different back on the PlayStation 2. Fields of Glory is the first game that I played that got me into the idea of games as historical record. Looking back at it now, you couldn't say it's a particularly well-made game. I remember to this day struggling with bugs and crashes and a clumsy interface. And yet, the fact that this game went to great lengths to properly represent the various battle units, their respective capabilities, and the fields of battle that they fought over had me actually buying books (or, more accurately, getting my parents to for me) on the wars to learn more about the names and battles that I was seeing in-game. When I think about games defining who I am, my desire to be taught things by games, and my naturally inquisitive bent that I've had through my entire life, is perfectly encapsulated by Field of Glory. For all the ridiculous stuff I enjoy, I'm also a pretty serious person and enjoy learning things through my entertainment, and so when I look to how Samurai Warriors inspired me to learn a lot about Japanese history, or how I briefly entertaining the idea of becoming a city planner after being hooked on Sim City as a kid, Fields of Glory was really the game to start all of that for me. Of course, on a very simple level, the JRPG genre is very much tied to my identity as a person. I love JRPGs. Everyone who knows me knows I love JRPGs. I love storytelling, and JRPGs are, of all the genres, the ones most committed to that (well, them and visual novels, but that's a relatively new genre out here in the west, and I'm taking to it like vodka on an open flame). I love the intellectual challenge of playing with statistics and tweaking characters to help me overcome a game's challenge. And I like the aesthetics of JRPGs, with their (typically) bright use of colours and attractive character design. 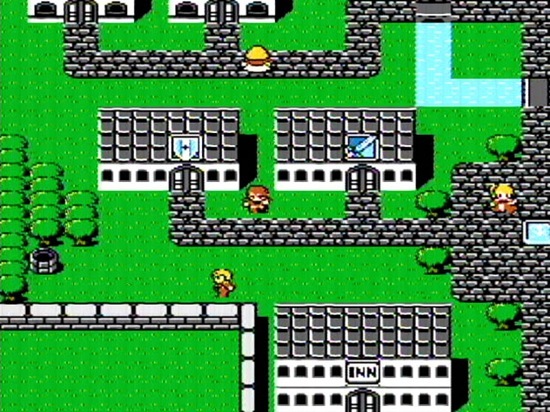 I've picked Final Fantasy 1 to represent the genre in defining me, because I've played the game, start to finish, at least a dozen times... and I'm halfway through yet another play through. 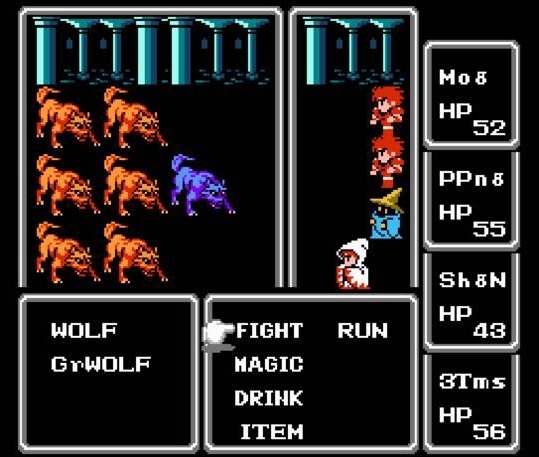 It was a flawed game even when it was new, and there are so many better examples of the genre out there now, but Final Fantasy 1 has a purity about it and, primitive as it is, really represents both the genre and my life-long interest in it... to the point that Final Fantasy has been a major influence in how I see and interpret games, and art in general. Oh, and for the record, the films that were in my #FilmStruck4 were The Crow, A Clockwork Orange, L'Age d'Or and Tokyo Tribe.